You want to apply for a job at OCS Consulting, that’s great! 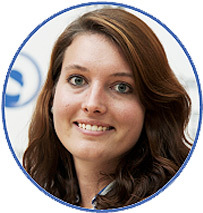 My name is Marlies Nering Bögel, HR Executive at OCS Consulting. and people who are looking for a working culture where passion and fun are key aspects. What motivates me? Challenges, a good team spirit, and I contribute to our growing ambition by finding the right candidates. People like you! ﻿If you would like us not to save your personal details to contact you ﻿for future vacancies or applications at OCS Consulting, you may contact ﻿us about this. OCS Consulting will delete any registered applicant (and ﻿their personal details) from her database upon request.